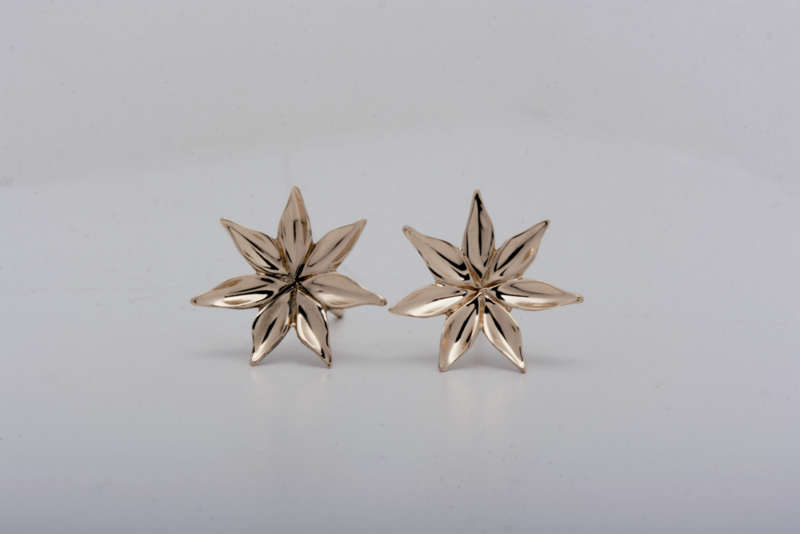 At this time of year, many people have commissioned Paul to make specific pieces of jewelry for holiday giving. He is working very hard to get all the pieces made in time. Since all the work that Paul does is handcrafted, it is labor intensive. He gets an idea of what you want and then he carves a wax model. You come in and look at the model. If you want him to make changes, he’s happy to revise the model and even carve a different model until it is exactly what you want. When you are satisfied, Paul will make it for you in the metal of your choice: any color or karat of gold, platinum, or palladium. If you want your piece made of gold, you can contribute your own scrap gold. He will melt it down in the casting (see Lost Wax Casting). Paul affixes the wax models to a base, makes a plaster mold from the wax models and casts the pieces. Paul melts the gold in the crucible with a torch. Then he activates the centrifugal arm which forces the molten metal into the mold. Once the pieces are cast, the mold is submerged in water which dissolves the plaster mold and leaves the rough casting in place. 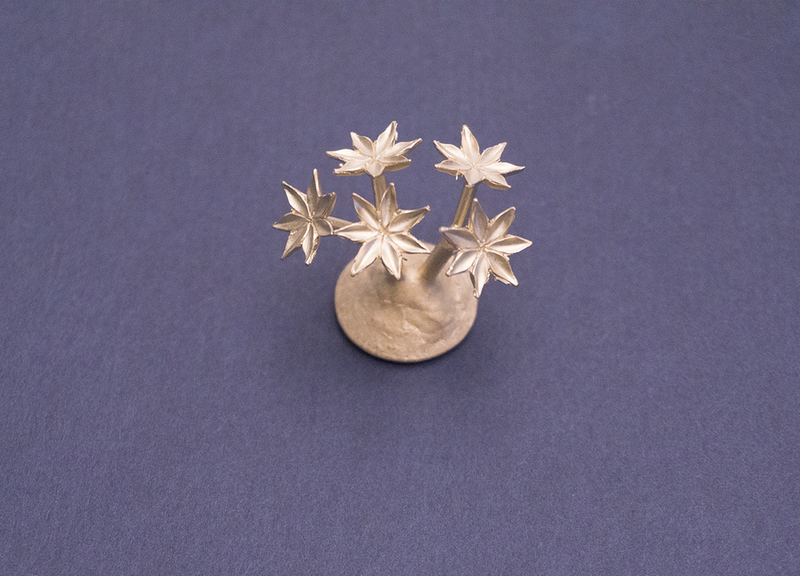 Here is a rough casting of 5 star flowers. They will be cut off the base and polished. Then they will be made into earrings or pendants. A sweet gift at Holiday Time.